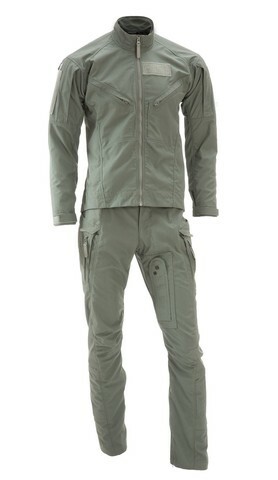 (PRLEAP.COM) Ashland, OR (01/17/2018) – Massif, a world-leader in flame resistant, high-end, technical apparel for the U.S. military has received NAVAIR (Naval Air Systems Command) approval for their new and revolutionary 2-Piece Flight Suit. Years in the making, Massif, a Pacific Northwest company located in Ashland, Oregon, designed their innovative 2-Piece Flight Suit from direct user feedback across multiple branches and platforms. Armed with this invaluable user input, the Massif team set out to enhance the capabilities of the modern aviator and aircrewman with original design features unique to Massif garments. Intent on dispelling the age-old notion that the Flight Suit must be a standard one-piece, Massif's designers came up with an athletic style garment, built from Burlington's Sigma 4 Star™ fabric; certain to set the Flight Suit trend for decades to come. Charles Sexton, Massif's Government Sales and Business Development Manager, who worked with NAVAIR towards the approval had this to say about the recent Flight Suit news: "We owe this approval to our loyal customers within aviation, who demanded innovation of an outdated legacy item. Through years of detailed collaboration, we've revolutionized both functionality and performance with our new 2-Piece Flight Suit with the sole purpose of enhancing future mission capabilities of our U.S. Military aircrews." With flash fire events a potential concern on any jacket and pant separation, Massif engineered and patented a groundbreaking attachment system to connect the jacket to the pant. Neither the jacket nor pant has to be worn with the other in terms of sizing. Massif felt it important to allow mixing and matching of sizes for a better custom fit. This ingenious design allows flexibility and movement between the jacket and pant while still aiding coverage in flash events. The result is a more user-friendly, agile garment that allows men and women to handle their demanding jobs in comfort without sacrificing safety and performance. 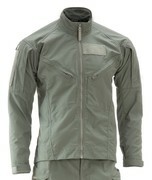 To further ensure Massif's technologically advanced garment met all the needs of the U.S. Military's athletes-in-the-sky they designed the garment to mitigate heat-stress and enhance quick-drying capabilities by utilizing mesh-lined pocket configurations, yet more features of excellence and attention to safety that Massif is known for. "We are honored to be able to support such an amazing customer. This approval affirms the dedication of the Massif team to continuously improve and innovate advanced gear that protects those who protect us each and every day." Said Darci Knobel, V.P. of Sales at Massif. Incorporating ergonomically designed seam placement, zippered lower legs on the pants for easier donning and doffing, durable ripstop FR fabric, and a modern, athletic fit, Massif left nothing untouched when revolutionizing the U.S. Navy and U.S. Marine Corps Flight Suit. Finally, the Flight Suit, available in both Men's and Women's sizing, is one hundred percent Berry Compliant. Headquartered in Ashland, Oregon, Samtech LLC, dba, MASSIF is a leading supplier of protective apparel to the U.S. Military and other professionals who work in extreme environments. Massif's products include technical combat apparel, flame resistant soft shell apparel, and extreme weather layering systems. 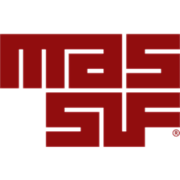 Massif was founded in 1999.